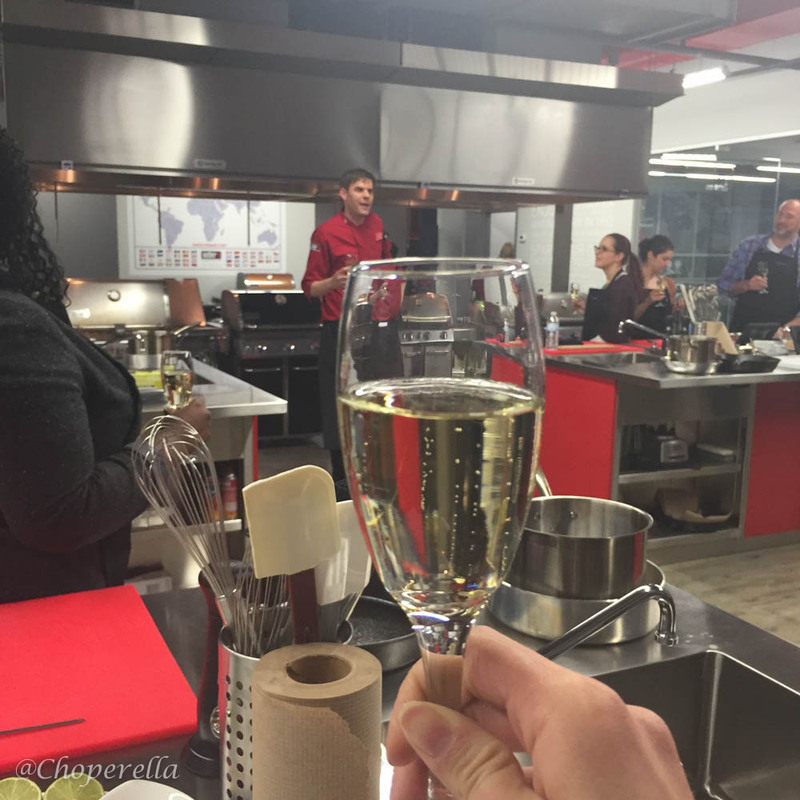 In February Weber Canada invited some talented bloggers to their grilling academy located in Vaughn. This place is incredible! It’s a great learning kitchen with so many Weber Grills, smoker’s, tools and space. I never thought you could actually grill inside but this place is newly renovated and built to handle all the exhaust necessary. 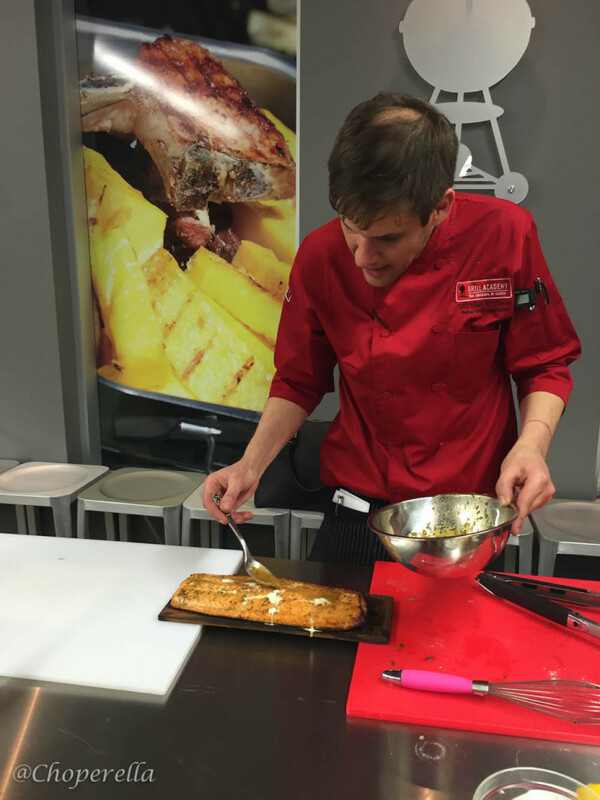 Weber Grilling Academy hosts numerous hands-on grilling classes for groups. You can find out which class is on next here. 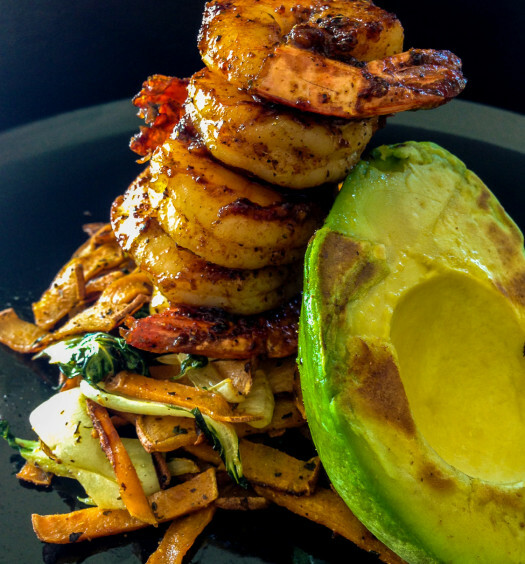 Whether you are a beginner or intermediate, there is a cooking lesson for you! What a fun way to start spring with a lesson with some friends! We worked in teams of 4-5 at stationed tables. 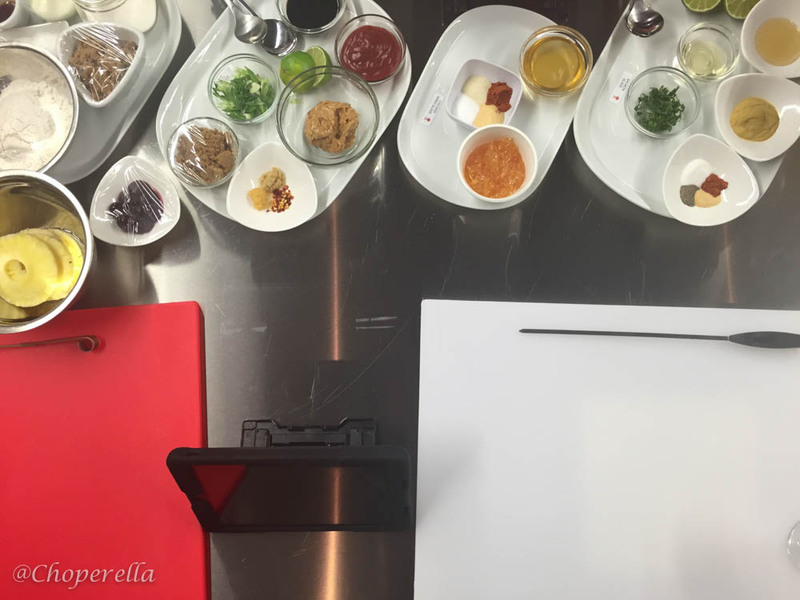 Each table was set-up with the mis-en place for each dish, an iPad, Weber Tools and sinks. The academy is very well equipped. 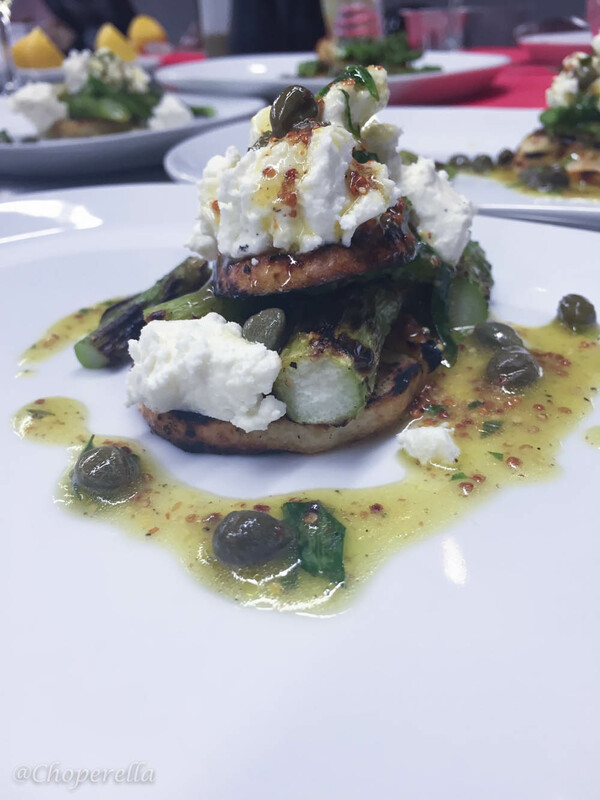 Our teams were led by the most enthusiastic chef and grill specialist Chef Michael Clive. His knowledge of Weber Grills is incredible and you can feel his passion through his teaching. The menu we prepared was fully made on a grill or in a smoker…DESSERT TOO! 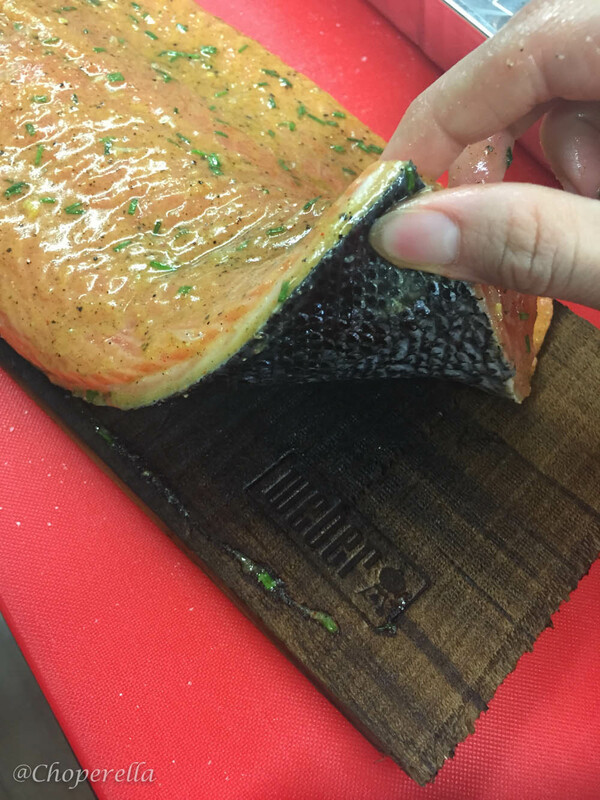 We had a blast with Chef Clive learning about the different techniques of grilling, smoking and cooking with Weber. 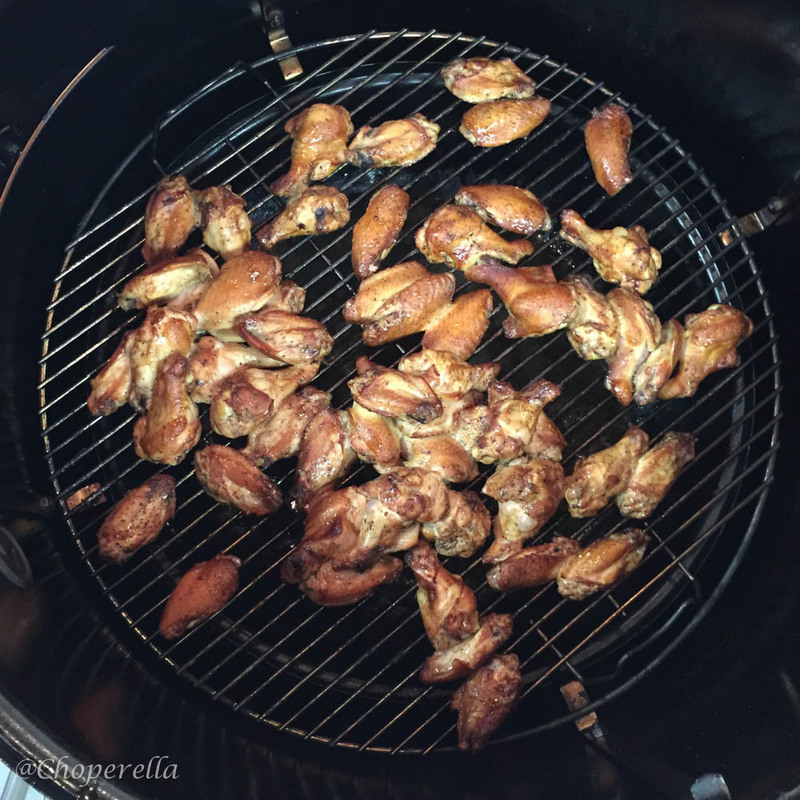 Personally the wings were incredible, I’ve never had a smoked chicken wing before! 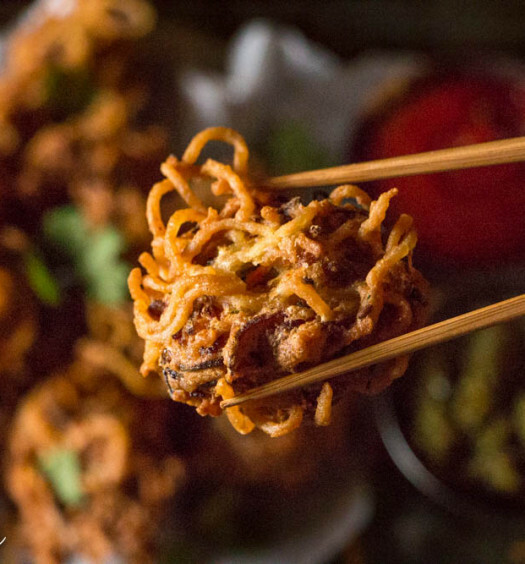 These were juicy, smoky and packed with flavour. The Pineapple upside down cake was another personal favourite. I think I ate half a cake. 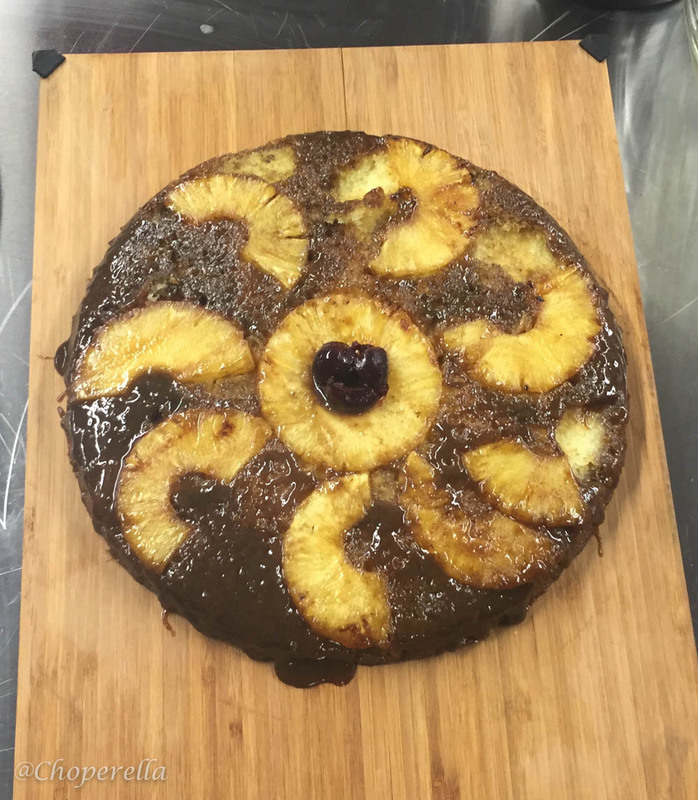 The cake was perfectly cooked, pineapple was chewy, soft and had the right sweetness. If you’ve been out to eat with me you know that I have a separate dessert stomach which I can fill with as many sweets as possible till I keel over. 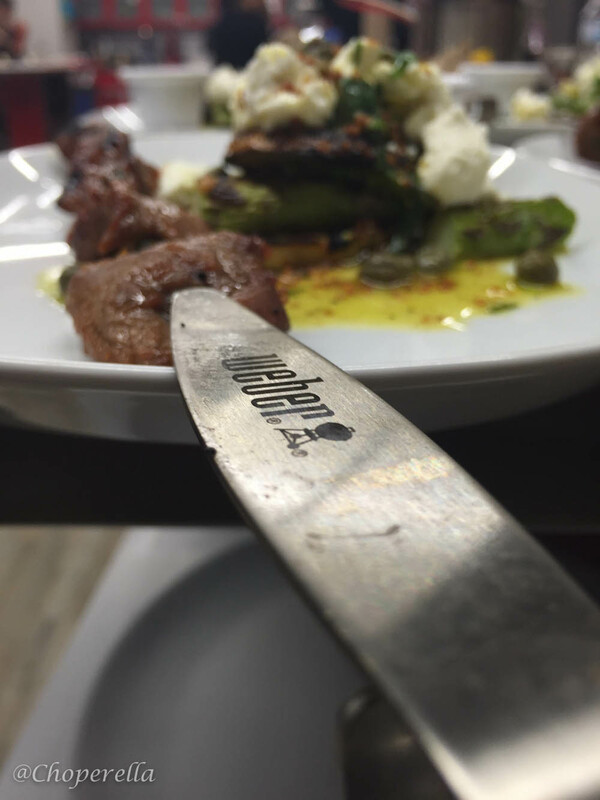 Once we finished our meal, Weber Canada didn’t let us leave empty handed. 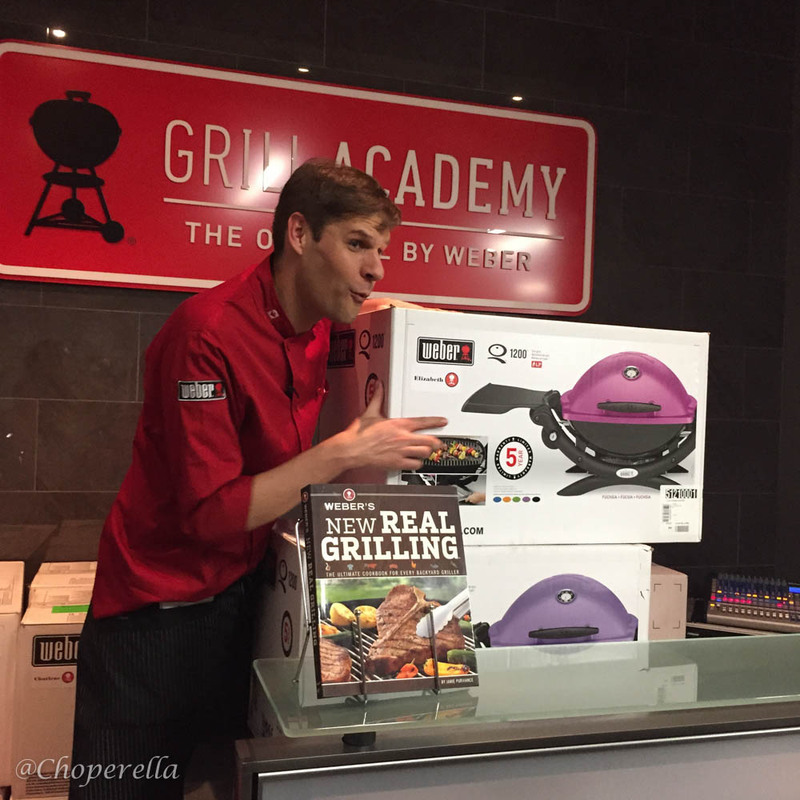 They surprised each and every one of us with our very own…Weber Q1200!!!!! We felt like we were on Oprah being given such a wonderful gift. These grills are great and I’m super excited to pull mine out when the weather smartens up. I got one in black (my favourite colour), but they have it in 6 fun colours. They’re bright, compact and wait for it… PORTABLE! Easy to carry and store. 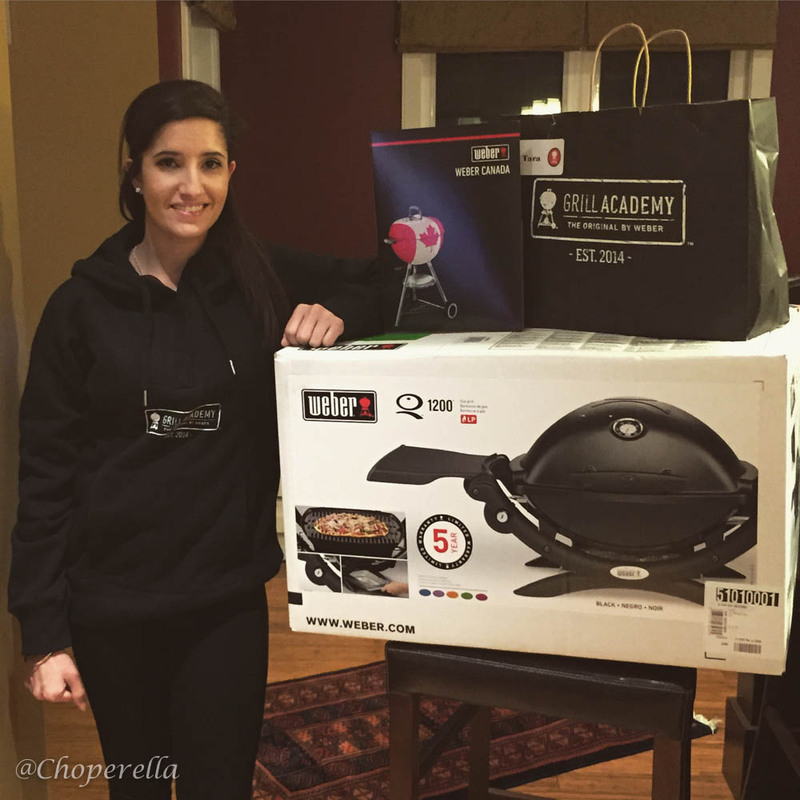 I’ve got the perfect spring/summer grilling idea’s with my Q1200 and can’t wait to put what I’ve learned to use. As Chef Clive says “If you’re lookin’, you’re not cookin’ ” !